Some years ago, I was really into astrology. I mean, REALLY into astrology. 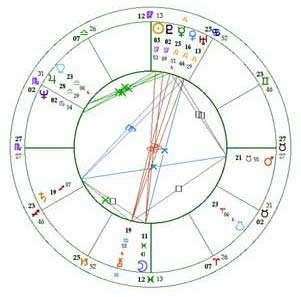 I had a shelf full of books on the subject, I attended workshops to learn how to interpret the movement of the planets, and I would spend hours on the Internet creating astrological charts based on the birthdates of friends and family members. Since that time, I have of course come to realize that astrology — like so many mystical and New Age teachings — is a load of bunk. But, for a number of years, it held enormous appeal for me, because it helped quell my anxieties.